Another year, another DMEXCO has gone by. 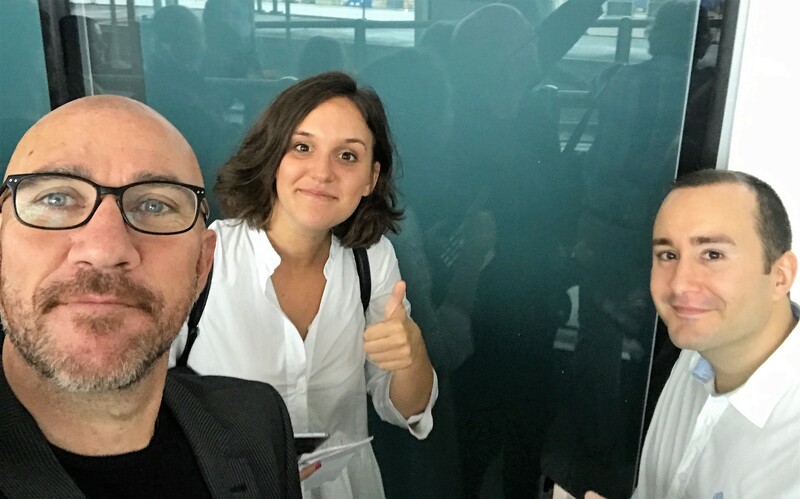 But this year, we decided to do DMEXCO at little differently…DMEXCO in one LONG day. Yes, that meant an early morning flight to Cologne, meetings, networking (partying) and flying back in the early hours the next day. No sleep, maybe a German lager or three and many cups of coffee. Here’s the team looking fresh-faced after landing in Cologne. Are we crazy? A little bit. But that’s all part of the fun! That said, we had a really good day, great meetings and lots of follow-ups to do. So the lack of sleep was worth it! 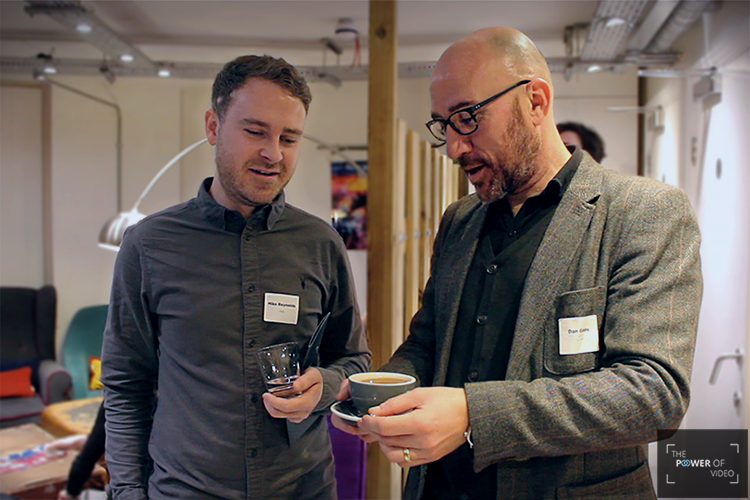 We’d like that thank everyone that met with us, hosted drinks and looked past the sleepy eyes. Would you do DMEXCO in a day? Launched at the end of last year, the IAB Gold Standard was put in place to reduce ad fraud, improve user experience and increase brand safety. Now, over 50 companies are certified including Facebook, Instagram and GroupM. Reducing ad fraud by implementing ads.txt. Improving digital advertising experiences by following the Coalition for Better Ads principles and the ‘Better Ads Standards’. Increasing brand safety by working with JICWEBS. All with the main aim: to build a sustainable future for digital advertising. This certification isn’t only about individual companies, it’s an industry-wide effort to re-establish trust. The IAB Gold Standard isn’t a ‘nice to have’, it should become a priority for anyone trading in digital advertising – publishers, agencies and adtech businesses alike. The subject of regulation and trust is particularly relevant after GDPR and last year’s brand safety concerns. Not only this, we need to address ad blocking. 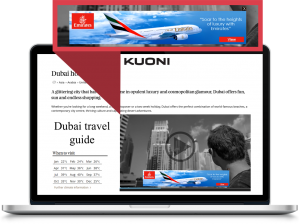 The increased use of ad blockers should be a wake-up call for the advertising industry. We need to be building a sustainable future for digital advertising. And how do we do that? By creating online ad experiences that work for everyone, especially the audience. We welcome all self-regulation that brings improvements to the industry. The question is, will you join the combined effort too? First of all, where are you from? That’s always a difficult question to answer because I’ve spent my life growing up in various countries like China, America, Australia and the UK. But you could say that I take a piece of those countries with me wherever I go. So, what are you studying? I’m mid-way through my Business degree at the University of the West of England. It’s great because I’ve been able to explore the areas of business that I’m most interested in, such as entrepreneurship, marketing, accounting and business finance. I have known for a while that I wanted to be involved in business development and my degree is helping me achieve that. 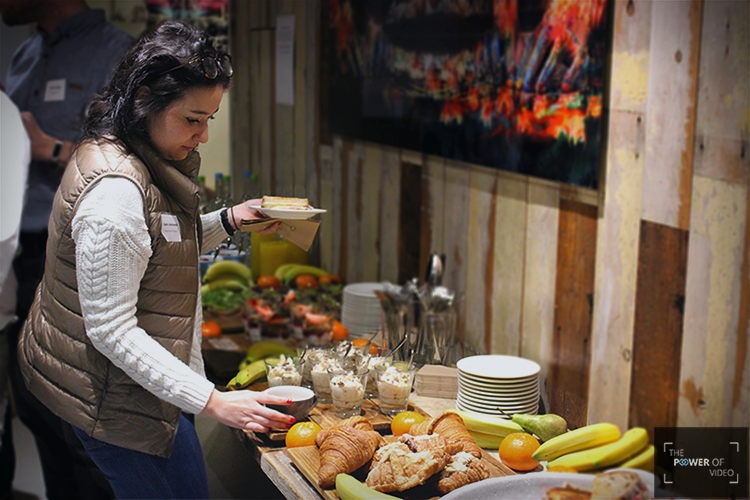 Studying in Bristol was a natural choice for me because it’s the creative hub of the UK and there’s a big network of business connections. Not only this, but it’s close enough to the beach so I can continue my passion for surfing. My aim throughout university is to get the most out of the whole experience. So far I’ve attended extra-curricular seminars, become a student leader, represented the university as a student mentor around the world, and I’m being sent on a trip to China to study Mandarin and learn about business in East Asia. An important part of my uni experience is to further my knowledge of various industries and gain firsthand experience, hence, leading me to an internship at Coull. After speaking with the Coull team, I soon realised that this opportunity would provide me with great experience and open my eyes to the world of digital advertising. How would you describe your role at Coull so far? My role is to dive deep into compliance and ensure Coull is eliminating online ad fraud, all whilst providing the best possible service to our partners. So far, I’ve been trying to wrap my head around the industry (which hasn’t been easy! ), learning how Coull operates, identifying elements of ad fraud and studying the processes to prevent it. As a digital advertising newbie, the technical aspects (not to mention, the countless acronyms) can become overwhelming, but fortunately, there’s a great team supporting and teaching me. 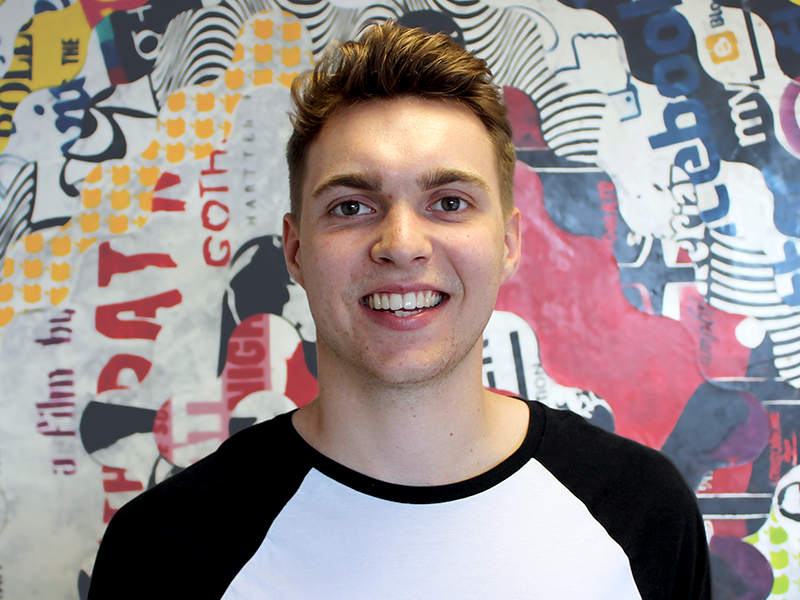 Although my role is focused on ad ops at the moment, I’m also keen to expand my knowledge of other areas of the business such as finance, marketing and production. It sounds like it’s been a busy first week for you! What ambitions have you got for the future? 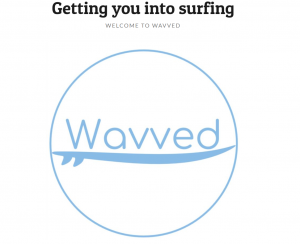 A goal of mine is to follow in my father’s entrepreneurial footsteps, and so, with support from university, I’ve managed to build the foundations for my own enterprise, a surf business called ‘Wavved’. The business aims to provide the products and services to help people take up surfing. My hope is to use all of the knowledge I gain at Coull to positively influence my future business ventures, such as to increase effectiveness in the marketplace and become more profitable. Already, my time at Coull has made me realise the level of commitment I want to provide to my future customers and the responsibility I’d have in relation to advertising online. Coull is a new and exciting challenge for me and one I hope to learn a lot from. What do they say to you before you hop on to a rollercoaster? Safety first! Now, it’s also a phrase that can be applied to digital advertising and brand safety - and what a rollercoaster ride the ad industry has been on recently. Only last year, people were questioning big fish like YouTube about the safety of brands when advertising on their platforms. It was discovered that some ads were being placed next to unsafe content, such as terrorist or extremist content. This led to multiple brands, such as Pepsi and Walmart pulling their ads from YouTube, as it was not only harming their brand image, but it also meant their ads were possibly funding unsafe videos. Hence, why the main focus from 2018 onwards should be about putting brand safety first. So, what can be done to improve brand safety in the digital ad industry? The most important thing is working with completely transparent and trusted partners. The vital building block in any relationship is trust. So why would a business partnership be any different? Companies should be seeking industry body accreditation to give their partners peace of mind. The IAB have launched their Gold Standard initiative, with the aim to reduce ad fraud, improve the digital advertising experience and increase brand safety. A part of the Gold Standard is becoming a JICWEBS signatory and adhering to the DTSG brand safety principles. The aim of the Good Practice Principles is to improve transparency in the UK digital advertising market, giving brands more confidence that their advertising will reach the right audience in a brand safe way. On our journey to gaining the IAB Gold Standard and showing our own dedication to brand safety, we’ve partnered with JICWEBS and have recently been awarded our brand safety seal of compliance! Industry standards body, ABC have verified our compliance with JICWEBS DTSG Good Practice Principles. We’re proactively delivering on the industry demand for more transparency in digital media. We’re making sure that when you partner with us, you can partner with confidence. We’re supporting JICWEBS, made up of the trade bodies, the IAB, AOP, IPA, ISBA and News Media Association. We earnt this through our transparency in the digital ad industry and our dedication to our compliance process. We have invested in and improved our proprietary technology to ensure anti-fraud and brand safety. Our dedicated compliance team and partnerships with industry-leading verification vendors ensure a very comprehensive compliance process. There are certain things you can check out before partnering with a company, such as, if they are a reputable company, what their domains and content is like, if they have their own brand safety policy and if they have official accreditation. Pre-boarding checks are an important part of Coull’s compliance process. Prior to signing contracts, all inventory is human vetted by Coull’s dedicated compliance team and verified as safe, or rejected – at which point further talks with the supply partner will be terminated. The example of what we look for when we filter are: ghost sites, illegal content, graphic violence, the IP reputation, botnets, the viewability of inventory and lots more. If we are happy with the company and their domains, we can then think about partnering. At this point, the company must agree to comply with our policies, including our brand safety policy. Keeping up with the countless sites out there and filtering between the brand safe and the unsavoury, all whilst fast-moving fraudsters wait in the sidelines, can become a bit of a ‘cat and mouse’ game. However, whitelists are an effective way to navigate in the wild web. A whitelist is a list of approved and acceptable sites to run campaigns on. As well as our pre-boarding checks, we analyse and categorise supply inventory that is human-verified. This creates a whitelisted inventory pool that demand partners may opt to buy from. This double verification provides a deeper level of invalid domain detection. In a highly technologically world, digital advertising needs some element of human judgement. No matter how much you try to automate a process with technology, it’s unlikely a machine will ever truly know what ‘brand safety’ is because it’s a subjective term and the meaning will change with the times. Coull employs both human and technological approaches to identify and prevent ads being delivered into content environments that may pose a risk to brand image. Bringing technology and human elements in at the right points in the compliance process means we can all bask in the brand safety glory. 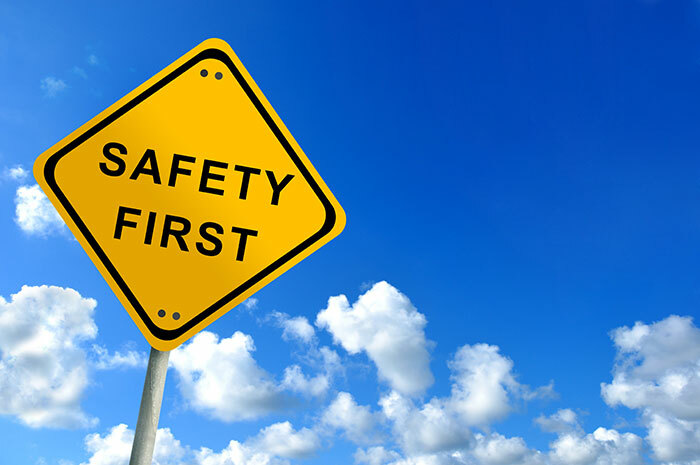 Brand safety is at the forefront of our minds so that all of our partners have full trust in us and we hope that it encourages the rest of the industry to follow suit. Let’s make 2018 the year we all put brand safety first. Coull has been verified to the JICWEBS Brand Safety Good Practice Principles by independent industry body ABC. The aim of the Good Practice Principles is to inject greater transparency into the UK digital ad market, ultimately giving brands greater confidence that their advertising will reach the right audience and will not be associated with content that could jeopardise brand reputation. They have invested in, and improved, their proprietary technology to ensure anti-fraud and brand safety. Coull’s dedicated compliance team and partnerships with industry-leading verification vendors ensure a very comprehensive compliance process. 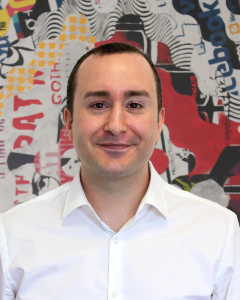 Dan Ginns, Managing Director at Coull, comments: "At Coull, we recognise the importance of transparency in the digital ad industry, and this means in all aspects of the digital chain. We are truly invested in the compliance process, which is why we’ve decided to go through the JICWEBS Brand Safety audit process as official recognition of this. We’re proud to say we’ve now achieved their seal of approval, so when companies partner with us, they can partner in confidence." Read more about how we ensure brand safety. Coull is an advertising technology company that specialises in video overlay advertising. 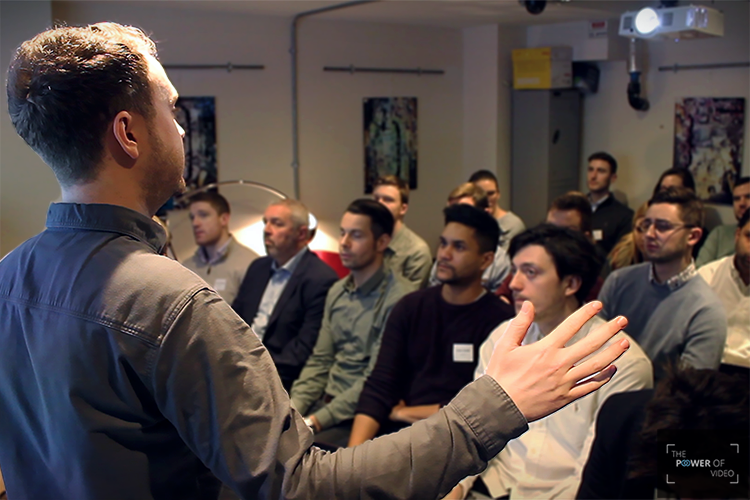 Coull was founded in Bristol in 2008 and now has teams in Bristol, London and the US. Coull is a unique advertising format provider for the open web with a proprietary programmatic platform. The Coull Platform consists of the Coull SSP, Coull Exchange and distinct Coull advertising formats - The OverStream Suite. 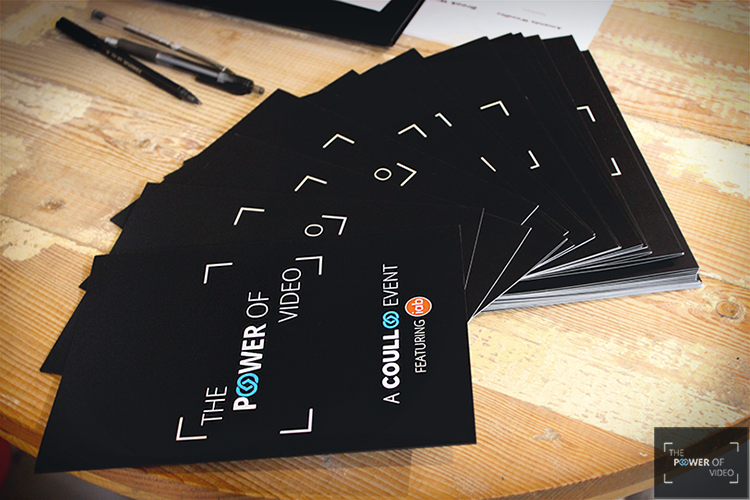 With nearly a decade of industry experience and a wealth of technological knowledge, Coull has become the video overlay advertising specialists and experts in the online video world. ABC delivers a stamp of trust for the media industry. We are owned and developed jointly by media owners, advertisers and agencies to set industry-agreed standards for media brand measurement across print, digital and events. ABC is also a trusted verification provider. We audit media brand measurement data and the adoption of good practice and process to industry-agreed standards. Established in 1931, ABC was the first UK Joint Industry Currency (JIC) and is a founder member of the International Federation of ABCs. JICWEBS is the UK's Joint Industry Committee for Web Standards and is made up of the following trade bodies: Association of Online Publishers (AOP), Internet Advertising Bureau (IAB) UK, News Media Association, ISBA – the voice of British advertisers – and the Institute of Practitioners in Advertising (IPA). EDIT (16/7/18): fundraising has now ended. We are crowdfunding! But, hang on...what exactly is crowdfunding? Crowdfunding is a way of raising finance that makes it easy for anyone to invest in a growing business, from as little as £10. 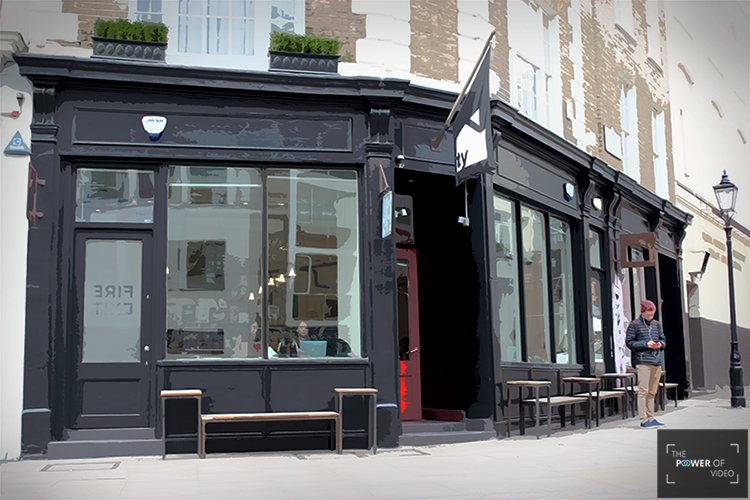 We’re raising funds on Crowdcube, Europe’s leading equity crowdfunding platform. What do we do and why are we raising funds? As a result, we can grow as a business in the £12bn UK digital ad market and most importantly, make online advertising a better experience for everyone. So, how do we make advertising better? Our innovative advertising formats give creative freedom to advertisers while ensuring the user viewing experience is enhanced rather than damaged. Importantly, our technology ensures that website publishers still get paid, thus keeping the internet free for us all. 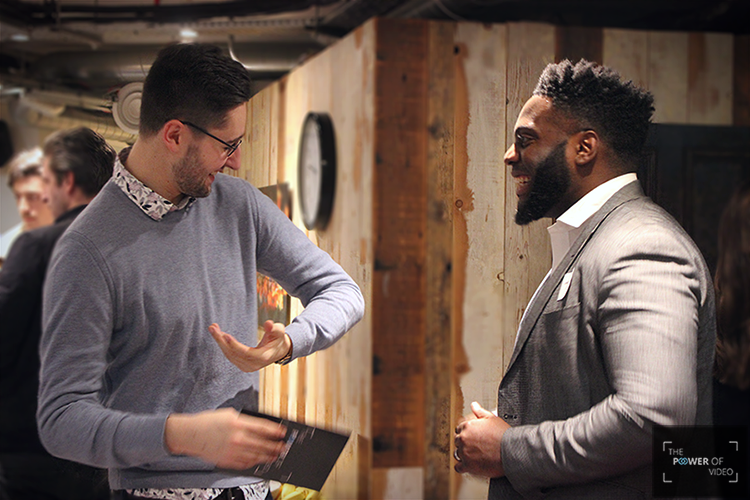 We’re raising investment through Crowdcube, a leading UK crowdfunding platform. Crowdfunding allows you to invest in Coull from as little as £10. 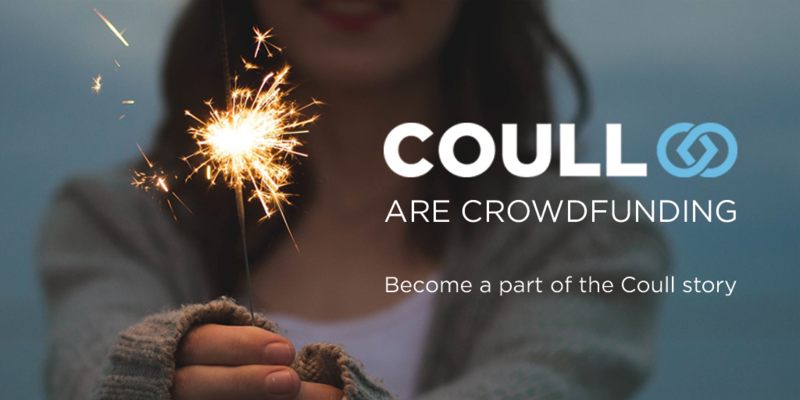 For the next 30 days, you can invest in Coull on Crowdcube and become a part of the Coull story. If you have any questions, please get in contact. Please remember, investments of this nature carry risks to your capital. Please Invest Aware. Jamie comes with blue-chip experience, having worked for tier 1 publishers including Northern & Shell and Trinity Mirror, but also major advertising agency holding groups, Group M and Omnicom. He will come to lead our sales and partnership team, delivering new revenue for the business. 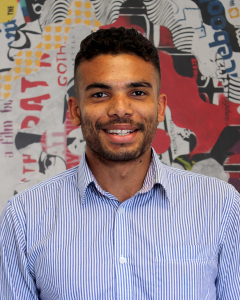 Arron joins us to support our sales team and manage client relationships. He’s already gained valuable experience in the ad tech industry, having worked for the French rich media business, Sublime Skinz and will further strengthen our team in London. 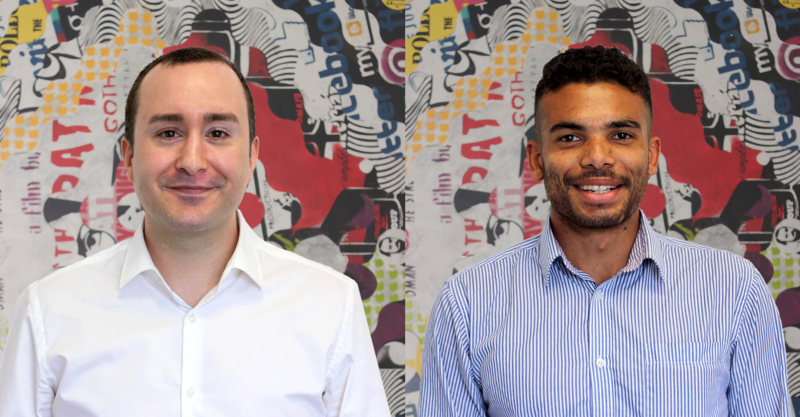 We look forward to seeing Jamie and Arron become an integral part of the Coull team. Online video has been around ever since I can remember, I grew up with it - even if it was through a dodgy dial-up connection. But video advertising has also been around since I can remember, and it’s not all been as positive. Don’t get me wrong, when advertisers get video right, they really get it right, like this famous ad from Cadburys. But why are high-quality, memorable and relevant video adverts so few and far between? Gone are the days when advertisers could spend weeks and months planning the perfect advertising campaign for a billboard or magazine page. We’re now living in a fast-moving, rapid-consuming world, we want video and we want it now. There’s a panic amongst advertisers, millions of videos are being watched every day and adverts need to follow that audience. And so, rushed, ineffective and non-engaging video ads are born, in an attempt to get something - anything - into the video space, ignoring quality and only focusing on the quantity. And that’s just where the advertising industry has gone wrong. There’s such a rush to get into the video space, in front of an audience, that the most important thing has been forgotten...the people watching. There’s no use putting a message out there, if it isn’t high-quality content, if it doesn’t engage and if it’s not relevant. Videos can be powerful, but we need to learn to harness that power to win over audiences once again. 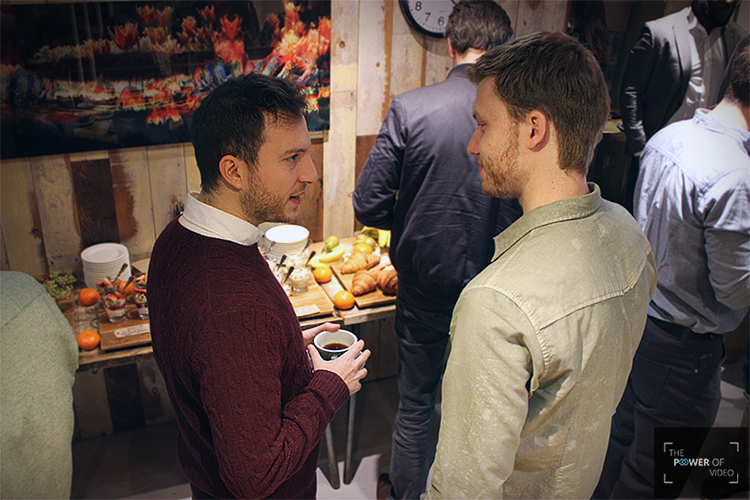 Last week, we hosted a breakfast event all about digital video, called The Power of Video. 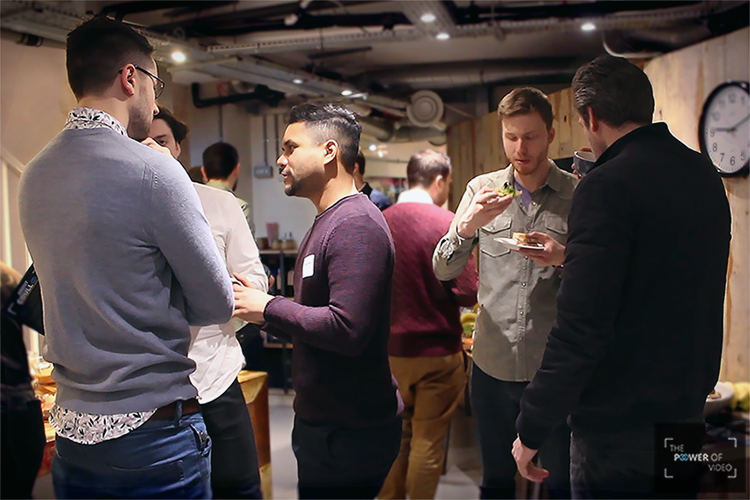 The aim of this event was to discuss the current state of the online video advertising industry and how to unlock the power of online video. The IAB’s Senior Industry Initiatives Manager, Mike Reynolds, presented first, focusing on video trends and creative research. He shared some research to emphasise the huge growth of the video market. X3 | The time spent watching short video clips online has tripled in the last three years. 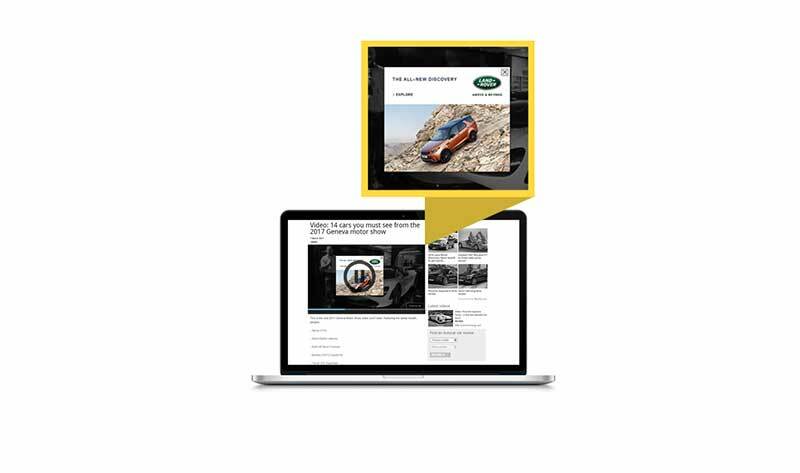 £699m | Online video has overtaken banners as the largest display format. But he also touched on how mobile is such a big influence on advertising spend. 68% | Mobile video is up 68% year on year, making it the fastest growing format. 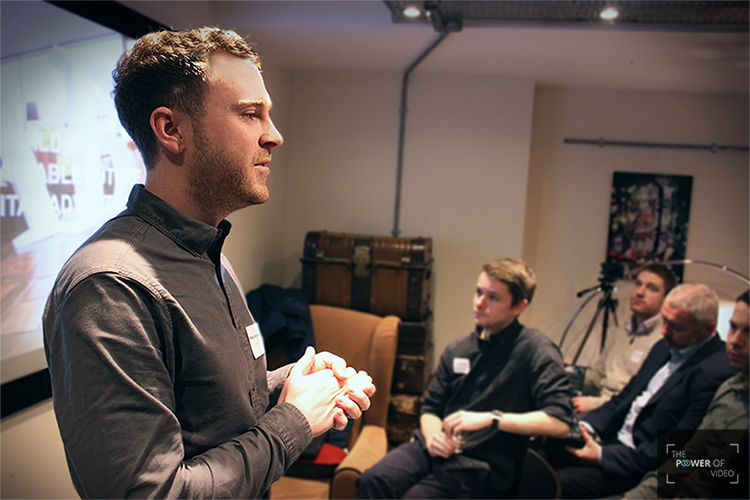 Lastly, he spoke about the IAB’s research, ‘Fit for Purpose’. This research looks at how advertisers tailor creative video ads for mobiles. 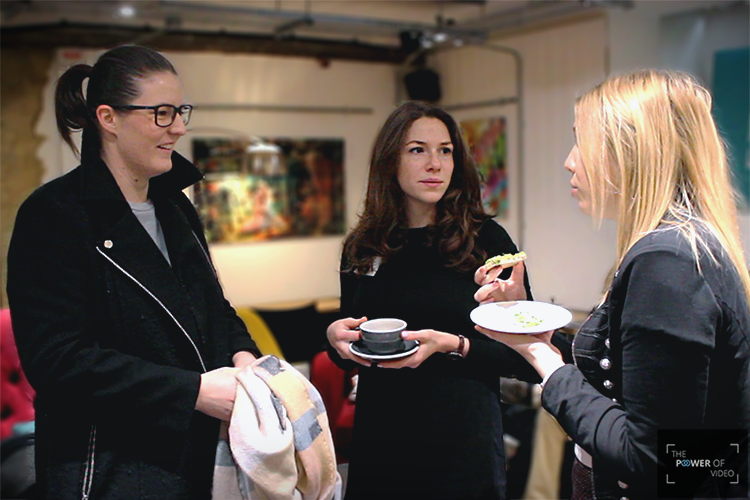 If you would like to find out more about ‘Fit for Purpose’, the IAB is hosting the official research launch on 20th March 2018. 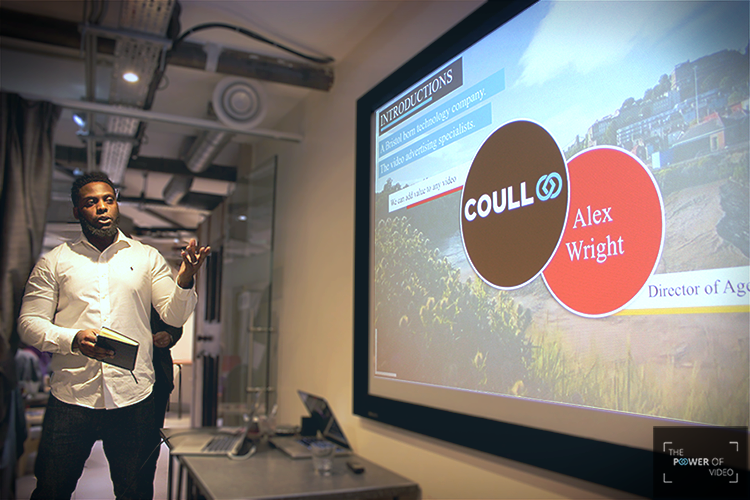 Next up was Coull’s very own Director of Agency Sales, Alex Wright. Alex asked the question, why are videos so powerful? The answer: it’s part of our DNA. Paying attention to motion and avoiding cognitive strain are just a few reasons why we are hard-wired to favour video over any other format. Perhaps more importantly for brands, is that videos can generate far more emotional cues than a photo can, with the ability to tell an extensive story and appeal to a wider range of senses. It's ideas that evoke specific emotional responses: joy, sadness, anger, laughter etc. These emotions fuel passion and drive human behaviour while building a brand relationship with an audience. Follow these steps and we can say goodbye to videos that make little to no impact and say hello to engaging, high-quality videos that connect brands and audiences. Are you unsure of the best way to follow-up a pre-roll? This is where we can help. We enhance the impact of your pre-roll by giving it an immediate follow-up within the video player. We can offer a variety of follow-up options from within our OverStream Suite. When you pair our OverStream formats with pre-roll, we call this DoubleUp. Our simplest format that delivers results from inside the video stream. The Banner appears for 30 seconds, offering brand engagement opportunities. The user can choose to dismiss the advert at any time with a clearly distinguished close button. Grabs attention and encourages action, with your audience in mind. 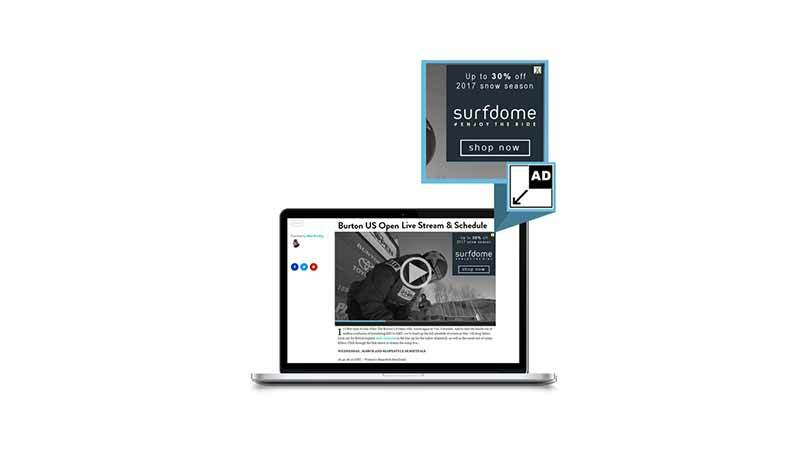 The Minimising MPU format appears in the corner of the video player for 5 seconds before minimising to a small ‘ad-expand’ icon that re-expands on user interaction. The user may then engage with, or close, the advert at their discretion. An intelligent ad format, shown when the audience clicks pause. OnPause delivers an ad on the video player each time it is paused by the user. This is easily dismissable via the ‘dismiss’ button or automatically when content is resumed. However, we see the value of both high-quality pre-roll and high-quality video content. Our aim is to add value to any video. So, if you would prefer to not use pre-roll, you can still reach video audiences solely through any OverStream format, so you can still make use of a valuable and viewable online space. 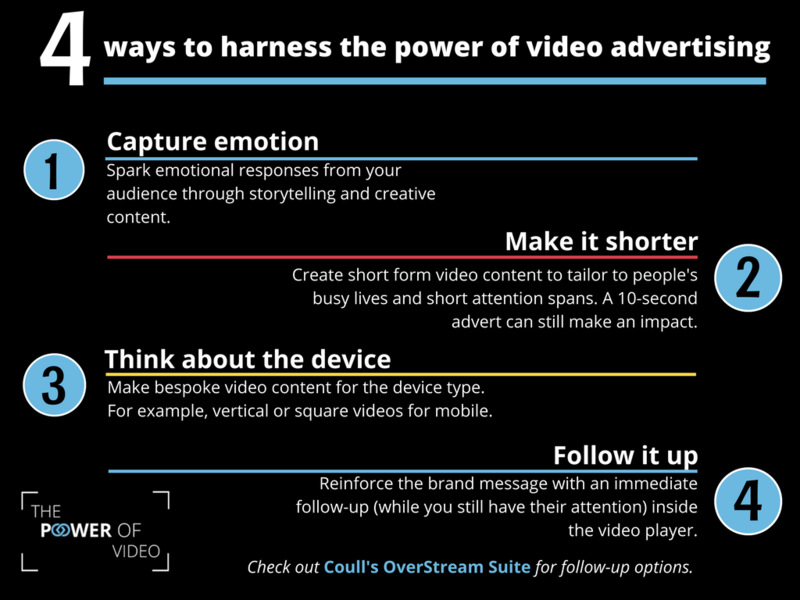 If you’re interested in how Coull can help you harness the power of video advertising, check out The OverStream suite or contact us. We’re excited to announce that our cool, new website is now live – see the homepage here. We’ve chosen some new vibrant colours to give us a fresh look that stands out. The blue is our key colour, matching our logo. If you’re a publisher, look out for the yellow – we’ve colour coded publisher content for you. Whereas, if you’re an advertiser or agency, pay extra attention to anything in red. Alongside the website, we also have new OverStream products to launch. Our Minimising MPU advertising format appears in the selected corner of the screen, shows the audience the creative and then minimises down into a small ‘ad expand icon’. Shows the audience an advert inside the video player – where their attention is. Adds interactivity to the advert. Adds value to any video by creating a new advertising space. Grabs attention but then minimises to respect the user experience. Our OnPause advertising format displays a creative when a video is paused. A great way to reach audiences without interrupting their viewing experience. Creates new advertising space inside the video player. A simple, viewable way to tell a brand’s story. Make sure to check out the video demonstration of these on the Products page. Also, remember that any of our OverStream formats can be paired up with pre-roll, a package we call DoubleUp. 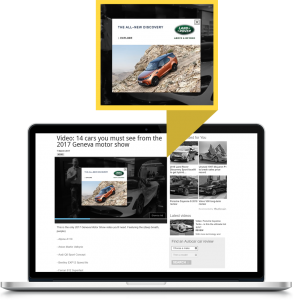 Complete video advertising experiences for customers and brands. A simple way to immediately measure video campaign success. See the DoubleUp demos on our Products page. 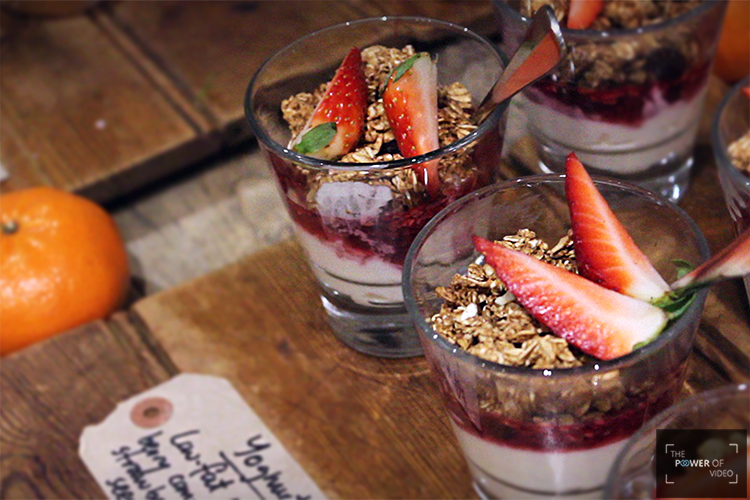 We also decided to jazz up our blog, adding more photos and a pinch of colour to the page. Why not read up on what we’ve been getting up to recently? 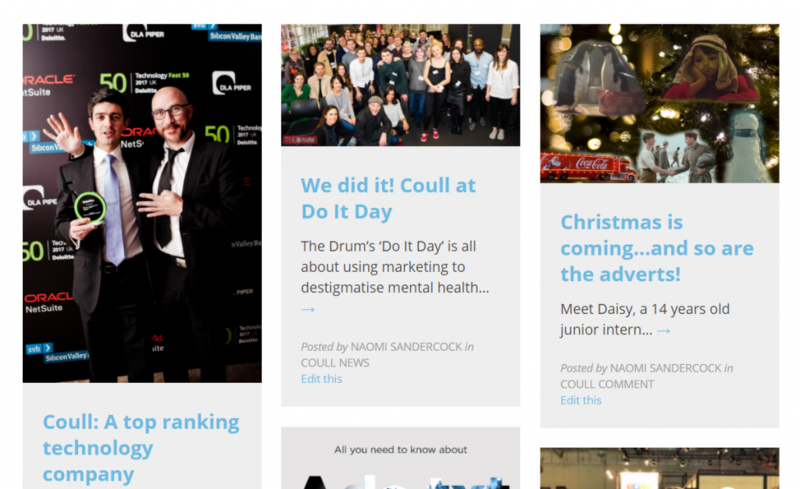 Such as our Deloitte Tech Fast 50 award, what we got up to at The Drum’s ‘Do it Day’ or find out the best recipe for those festive campaigns. That’s it for now – but this is only the start of new and exciting things happening at Coull. Don’t forget to keep checking in for more resources, product launches and Coull news. Follow us on Twitter, Facebook and LinkedIn for updates. 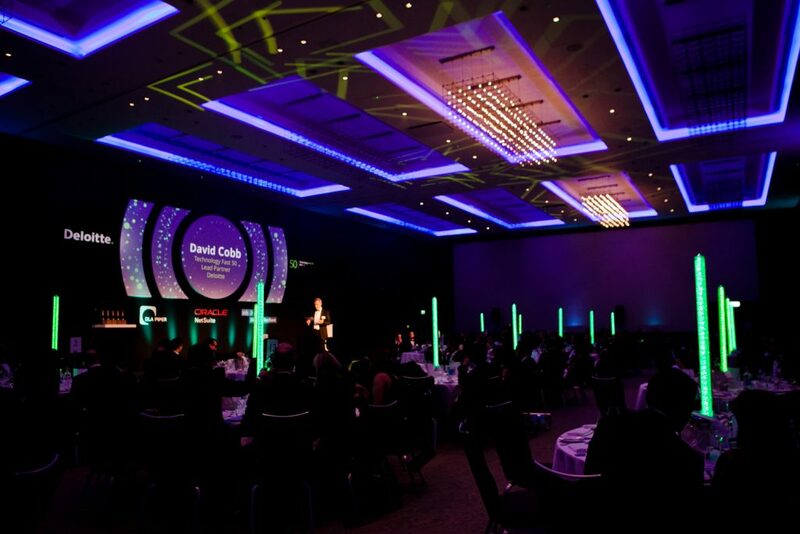 Yesterday, technology business directors from all over the country gathered for The Deloitte Technology Fast 50 awards ceremony in London. 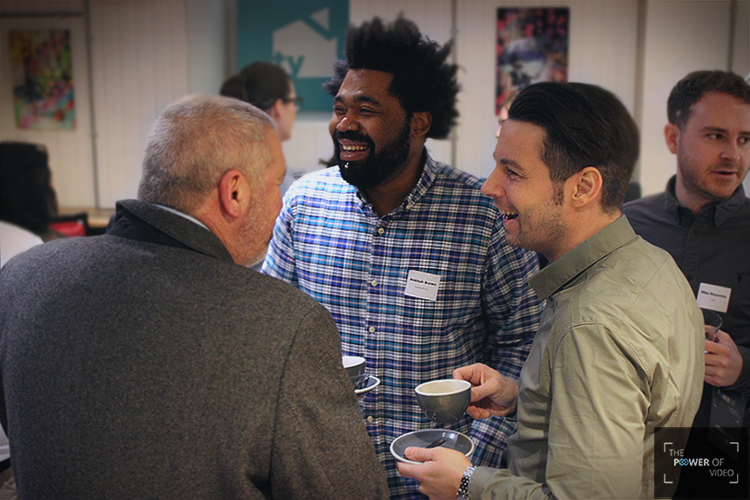 Our very own Managing Director, Dan Ginns, and Finance Director, Simon Alpren, were amongst the guests. We’re very proud to announce that Coull has been ranked 9th in the 2017 Deloitte UK Technology Fast 50, a ranking of the 50 fastest growing technology companies in the UK. Companies such as Deliveroo and Move GB were also in the Top 10. Not only this, but we have been ranked number 1 in the media sector of the Tech Fast 50. Rankings are based on percentage revenue growth over the last four years and Coull has a 1,915% growth. 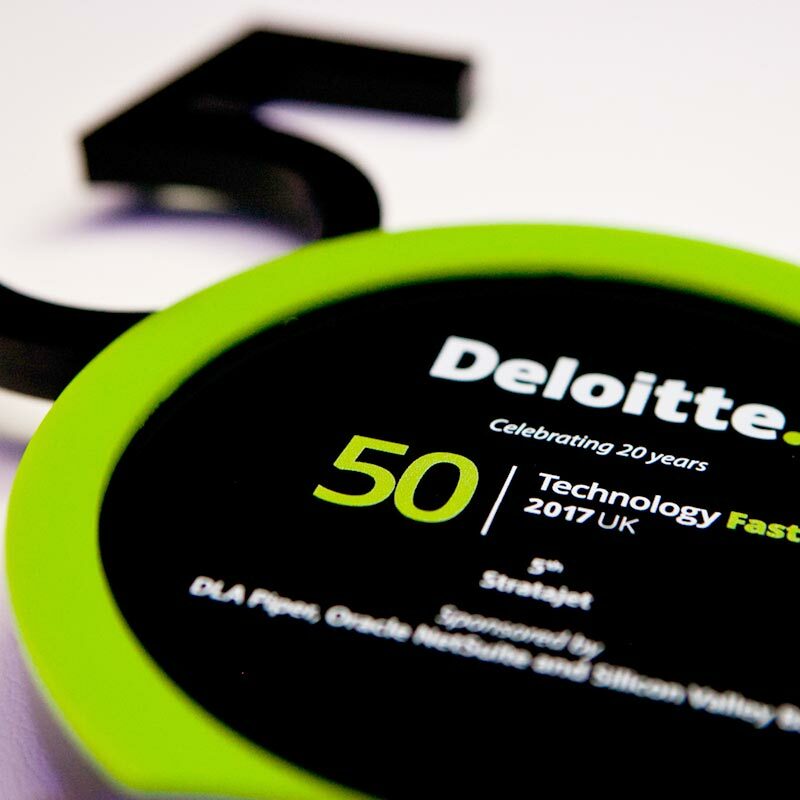 The Deloitte Technology Fast 50 is one of the UK’s foremost technology award programmes, celebrating innovation and entrepreneurship. Now, in its 20th successful year, it is a ranking of the country’s 50 fastest growing technology companies, driven by leading intellectual property and based on revenue growth over the last four years. 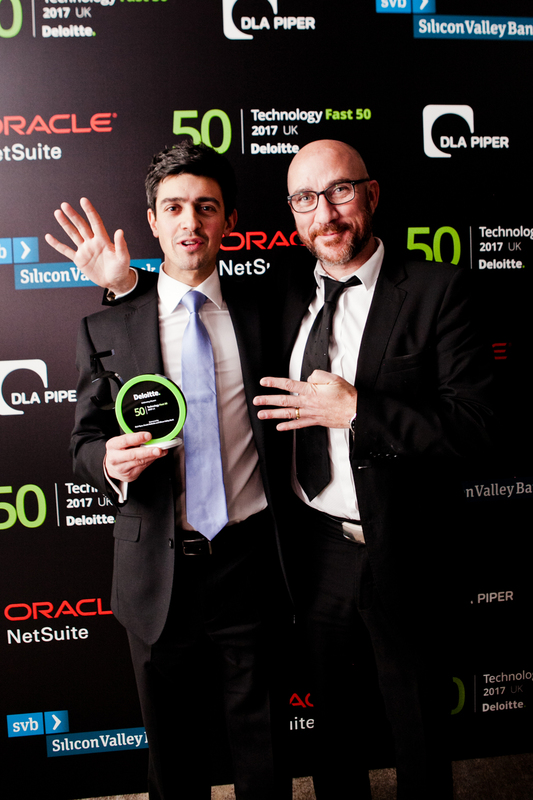 Making the Deloitte UK Technology Fast 50 is a significant accomplishment for all of the team and we’re all looking forward to seeing what 2018 holds for Coull.